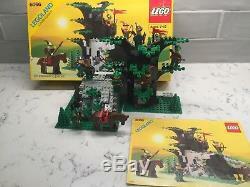 1987 LEGO Castle set 6066 "Camouflaged Outpost". 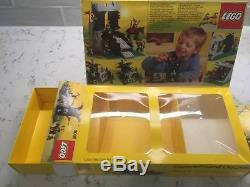 Set has been played with but blocks, plates, figures, and accessories are in great condition for vintage LEGOs! All parts are confirmed present and clean. 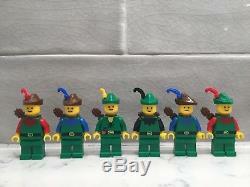 Does not include extra hat feathers, only the small plumes used in the instructions. Has been disassembled and organized by type/color. 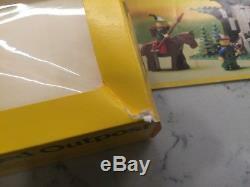 Only clean, high-quality bricks are included in my used LEGO sets. 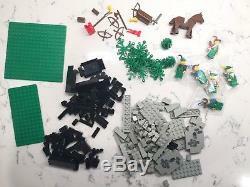 I will indicate if significantly worn or discolored pieces are present in a listing, though minor scratches and slight discoloration is always possible with any used LEGOs. If you are unhappy with the condition of a brick or find a piece missing, I will do my best to replace, so please contact me. Feel free to message me with specific questions regarding a set. 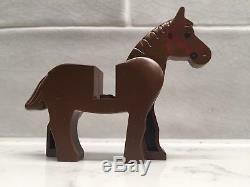 See my other listings for more great LEGO sets. 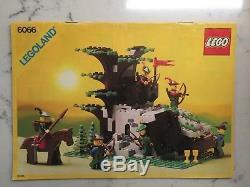 The item "Vintage LEGO Castle 6066 Camouflaged Outpost 100% Complete with box & instructions" is in sale since Friday, November 2, 2018. 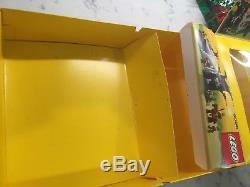 This item is in the category "Toys & Hobbies\Building Toys\LEGO Building Toys\LEGO Complete Sets & Packs".hunter" and is located in Gainesville, Florida.